Today on the benching table we have the Anidees AI7 Black window ATX case. I spent quite a bit of time exploring the ins and outs of this case so sit back, grab a drink, and prepare for a fairly in-depth review of this Cube. The features, as shown on the Anidees website, are shown below. Dust filters in the front ,top, bottom and side panel. Now, on to the goods. Some eye candy for you to enjoy. First up is everybody’s favorite, PACKAGING!!! The case came shipped in a full color box, straight from California. The box did take a little bit of damage en route apparently. With styrofoam and a thin plastic bag around the case, as far as I can tell, no damage to the goods. Case looks pretty square to me. As for the spare parts and instructions included, it seems to be just enough to get by. The instructions are a large fold out with general how to’s for installing components, and a small manifest for the spare parts included. The instructions did not go over the removable parts, or the small built in fan controller. There is also not a longer manual available online. On to the case itself. The AI7 hosts a very large window which is great for viewing all of the beautiful artwork you put inside. The case comes with five 120mm fans, one unlit in the back, independent of the built in fan controller, and four, yup… four, 120mm blue LED fans up front! The led fans are made of clear acrylic. More on the fan controller, it is simply a switch which has three settings, L-S-H. The obvious ones are Low and High. I believe the S stands for for Silent, but as far as I can tell it just turns the fans connected to the controller off, which would not make silent a wrong assumption. The switch is located at the top left corner on the back of this case. On the opposite side of the case, we have a small vent for the power supply. Inside of the case starting at the top, just below the removable grille that snaps into the top of the case, we find two 3.5″ removable HDD sleds in independent cages. The sleds allow for 2.5″ device mounting as well. This case also supports one 5.25″ drive, but utilizing it will remove one of these cages, more on this in a bit. Just below that we have the motherboard tray, capable of supporting mITX, mATX, and even an ATX size motherboard. Please note, with an ATX motherboard installed you will lose your cable management routing holes. Be sure to check your stand-offs before you install. For whatever reason the upper left stand-off was not in the proper location, it was in the mITX location, while all of the other stand-offs were properly located for an ATX board. A possible solution here is to include the standoffs in the accessories bag. There is also a spot to mount a 120mm fan with a small removable dust filter at the bottom on this side. The small feet on the bottom of the AI7 seem to provide just enough clearance to allow airflow. The seven PCI expansion covers are very nicely made and fairly easy to use. Like some other cases you don’t have to bend them to break them out. You can simply remove and reinstall at your leisure. On the inside of the vented panel, there is a removable magnetic dust filter for the PSU. This case has plenty of room inside to support even the largest PSUs. I stuffed an over-sized modular 1200W (Corsair AX Series – 200mm long) in here and was surprised with how much room I still had to plug in my cables. Just above where the power supply sits is yet another HDD cage with two more sleds for 3.5″ HDDs and a really nice mount for an SSD. Around front, just above the very large mesh cover, we see four USB ports (2x USB 2.0 and 2x USB 3.0) along with a 3.5mm headphone, 3.5mm microphone jack, power LED, HDD activity light, and, of course, power and reset switches. Behind the front cover is a huge, removable dust filter for all of those fans. So, before I get too far ahead here, I want to point out the few things that I noticed about this case in terms of build quality. This case does feel somewhat cheap, the mesh covers feel a little flimsy. I would be afraid of a ding from a small amount of force. I also found the front of my case did not line up well with the USB ports. The second one from the left seems to catch on the cut out of the front bezel, causing it to bow out slightly. Configuring this case for water-cooling also seemed to be difficult. It seems more feasible to use a closed loop cooler if you would like to mount your radiator in the compartment underneath the removable mesh grille on top of the case. I decided to mount my 240 above that location, actually on the exterior of the case, to see if I could retain the use of at least one of the HDD cages, and also utilize the two 120mm fans on the radiator as exhaust fans. I will share results of load testing with the radiator mounted inside of the compartment, with the removable grille installed, and without fans attached as well. 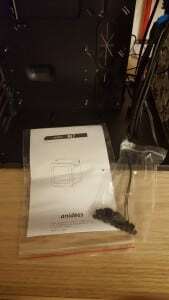 The other problem I found with this case is, even though it boasts water cooling compatibility it lacks a reliable location of installing a pump/reservoir with an ATX motherboard installed. Free space within this case will quickly be taken away by stuffing it full of radiators. 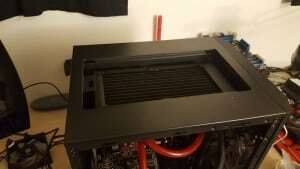 My 40mm thick radiator (65mm including fans) will fit in the front with fans attached, but with it installed I would not have been able to set my pump and res where I did. There also would have not have been much room, if any, for cable management. For this build I simply left my pump and res at the bottom, standing up between the front fan bank and the GPU. It would not fit beneath the GPU and, if I were to mount it on the back side of the motherboard tray, it not only would have been in the way of the PSU cables, but the included fan controller is mounted there. Relocation is possible but remounting it may require modification. Building in this case was very straight forward, and everything went together smoothly. The cable management of this case allowed me to tuck wires nearly anywhere, but I was still a bit sloppy. I believe this is because of the motherboard I chose to use. After power up I have to say with all four of the front fans running on high, it is an incredibly quiet case. A better term would probably be silent as I can hear my water pump, but not the fans. They move quite a large amount of air for their 1100 RPM speed. 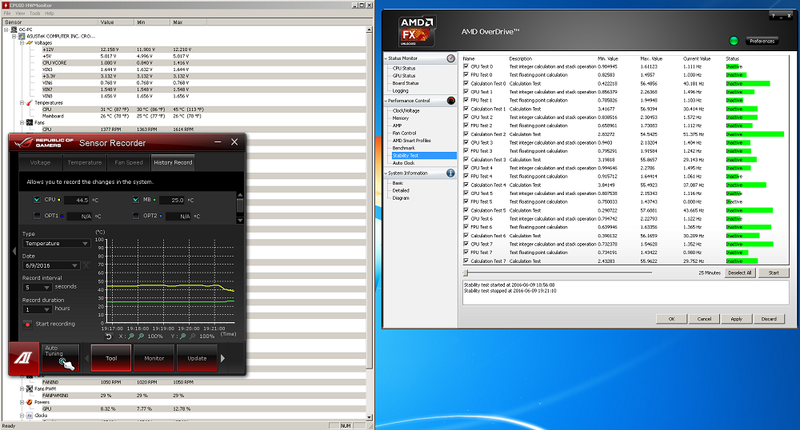 At idle HWMonitor is showing a CPU temperature of 30 °C and a motherboard/VRM temp of 25 °C. 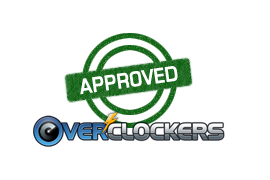 I load tested using AMD overdrive stability test. The CPU topped out at 45 °C and the motherboard only rose one degree to 26 °C after 25 minutes, which really is a testament to the air flowing through this case. As for testing with the radiator in a passive cooling situation, and the grille installed, the CPU temperature climbed through 50 °C within the first four minutes, 55 °C after just six minutes, 60 °C after ten minutes, and 65 °C after 17 minutes. At this point I decided to kill the test to save my hardware. The motherboard temp, on the other hand, stayed cooler for longer and actually dropped from 26 °C to 25 °C for a majority of the test and rounded back out at the end to 26 °C. All attributable to the lack of exhaust fans. In conclusion, this is a decent case for $109.99, available from Newegg.com. If you plan on going crazy with a full custom loop water build, I would suggest another case. It’s very appealing with its large side window, ample room for an ATX motherboard, PSU, and oversized GPU’s, plus the ability to hold four 3.5″ HDDs and an SSD (four 3.5″ with a 5.25″ drive installed). Mounting a radiator in the top of this case will remove at least one HDD and the 5.25″ drive. The other mounting locations of the radiators will quickly take away from the openness of this case, not to mention how much harder it would be to mount the pump and reservoir. A 240mm radiator measuring less than 45mm’s thick with fans mounted, in the top or AIO closed loop cooling system seems to be the only viable option if you would like to keep the case as fully intact as possible. If you do decide to select this case for an AIO water build, be very selective and ensure it will fit well. As an air build, you could easily install two more exhaust fans in the upper grille and another intake fan on the bottom of the case. Because of the dual chamber design and a CPU cooler clearance height of 174mm, this case is far more superior in the realm of an air build over a water build. While adding this case to our list I came across a couple questions. 1. Does this case support 280mm rad in the top? 2. Is it possible to add the top rad inside the case if the top HDD bays are removed? Good looking and perfect for the size. Hey thanks for the constructive critique. From what I have gathered, A 280mm Radiator should fit as long as the Fittings are in the correct orientation(not parallel), the rear of the case does have water cooling pop outs but i think that would only allow you to have a messier looking loop. This is strictly an assumption based on the 2x 140mm fan compatibility, I don't even have 140mm fans to test with so I'm sorry for not having proof. With the HDD cages removed from the top of the case, my fans would stick out higher than the case when mounted to the rad. That was my initial plan but i had no way to mount either the radiator or fans to the case because they did not line up with a mounting surface. That is with the fans attached to the bottom side of the radiator, which protruded from the case by about half an inch or so, with no mounting hardware. It may be possible with a Slim style radiator though. I think i included the "maximum" thickness dimensions in the article.